The Most Respected Executive Coaches In The U.S. 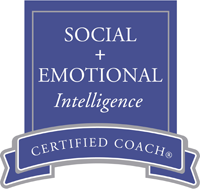 Delivered by Laura Belsten, Ph.D., one of the most respected executive coaches in the U.S. today. CEO Partnership offers private, confidential, individually-customized coaching for managers, executives, professionals and business leaders. I work exclusively with a limited number of individual clients (up to 12 at any one time, occasionally one or two more if you are eager or can’t wait to begin). CEO Partnership also provides additional coaches, pre-screened and certified to be of exceptionally high quality, for organizations requiring a larger number of coaches and desiring to provide individuals with a choice of executive coaches. Executive coaching services are paid in advance on a monthly basis (discounts are available for six- and twelve-month commitments), and may be paid with business or personal funds by check or credit card. Fees range from $450 per month to $1,250 per month, depending on whether you prefer unlimited access to coaching assistance or regularly-scheduled weekly coaching sessions. Fees also vary depending on whether you wish to gain new insights into your leadership or communication style, or gain a perspective of your executive strengths and vulnerabilities through one (or more) of our assessments.